Need the perfect finishing touch for your kitchen? Why not buy this amazing Kitchen Sink Mixer Tap from Bristan? Part of the Echo Easyfit range, this is not only easy to install, but also will stand the test of time. This particular brass and chrome plated mixer tap is suitable for all plumbing systems, and thanks to the unique technology, it will be ready to go in no time at all. It comes with flexible connecting pipes and an easy to use metal lever handle. 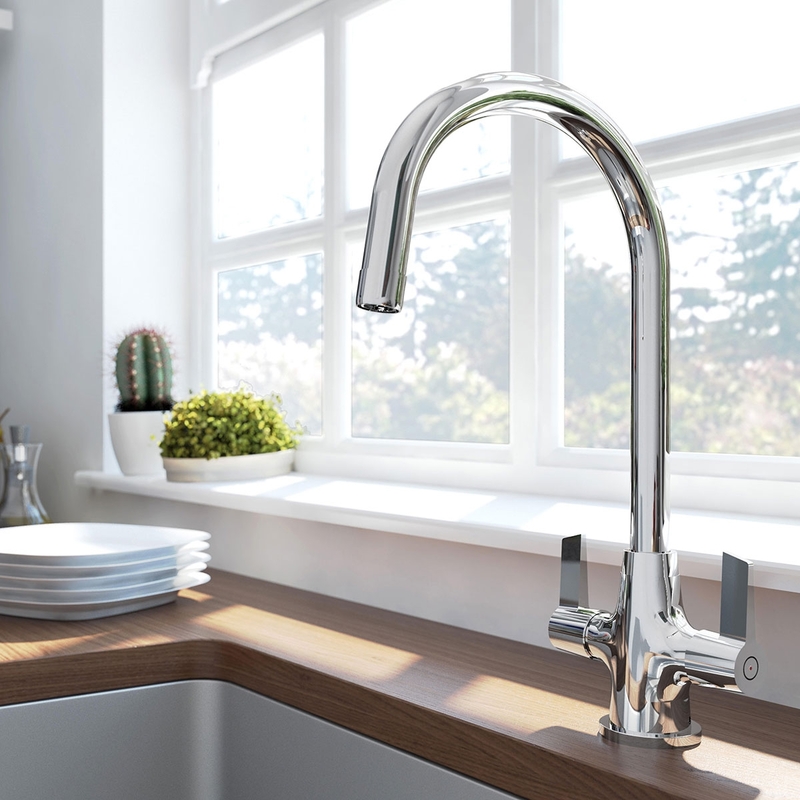 If you are looking for a top quality kitchen mixer tap, this is a great choice. You can always have peace of mind, as it comes complete with a 5 year guarantee. Ordered 1 pm delivered 8 am next morning with standard delivery. Good value, quality product.